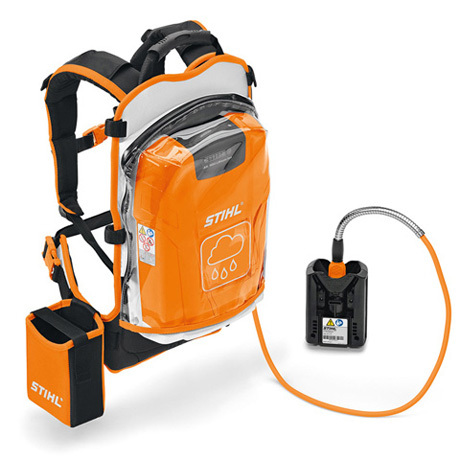 A high capacity backpack battery for STIHL's cordless tools. With a capacity of 626 Wh, this is a Lithium-Ion backpack battery, coming complete with an ergonomic harness so that you can work for longer without strain or fatigue. This is a durable piece of equipment, with sturdy housing and a rain protection cover included, while the LED charge level indicator ensures you know just how much power you have remaining at all times.